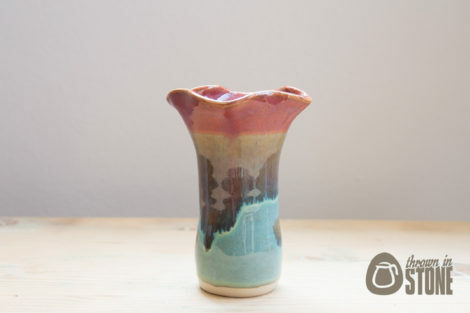 This small handmade vase was thrown on my potter’s wheel using strong white stoneware clay. 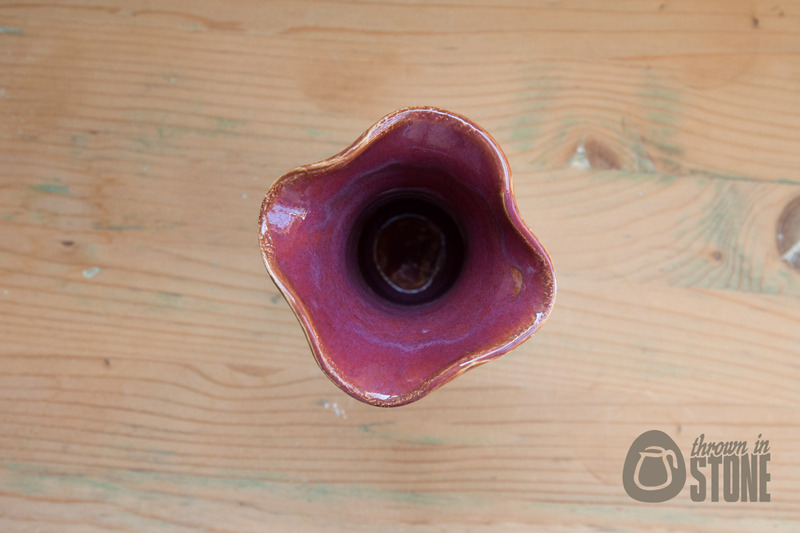 The top rim was altered to create more of a flower shape which will allow the flowers to splay out more. 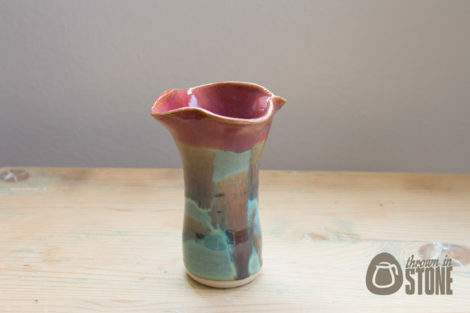 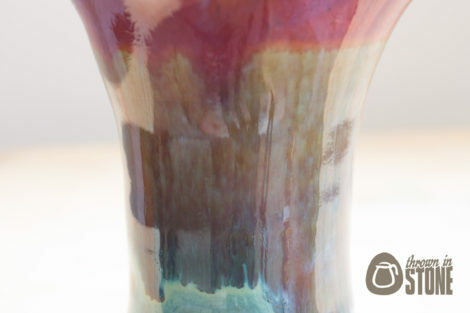 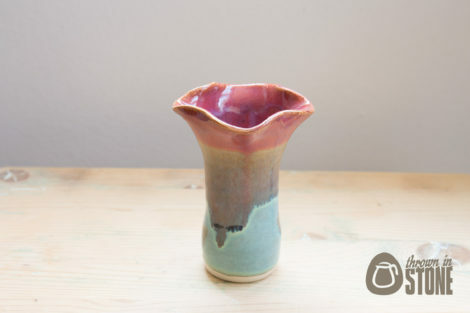 Finished off in a duo of deep pink grapefruit and sea mist green glazes which react together in the kiln and drip and flow to give this unique and colourful effect.